Continuing to explore the use of graphics and bold colors on the Foamposite, Nike Sportswear is prepping this all-new gradient colorway of the Pro variation. 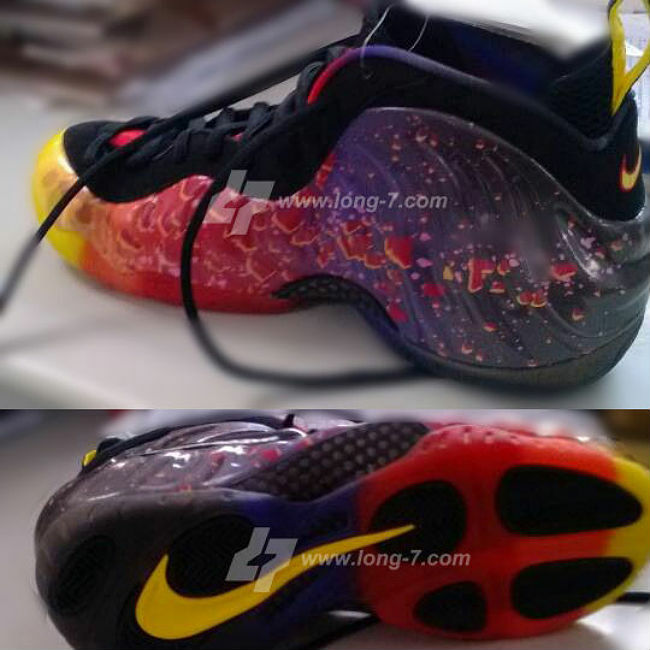 Seemingly carrying on with the "Galaxy" and "Area 72" themes, this Foam Pro features a black to purple to red to orange to yellow transition effect, which uniquely extends to the lining and outsole. Black takes its usual place on the toebox, eyestay and heel, while also working the jewel Swoosh on the lateral side. Yellow pops off the pull-tab and Swoosh branding on the heel and outsole. No release information for this pair at the moment, but enjoy this teaser shot courtesy of Long-7 and share your initial thoughts with us below.